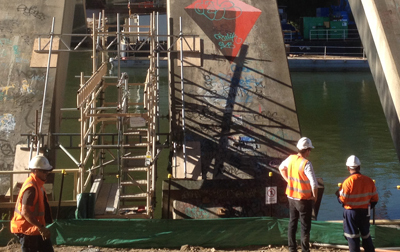 In this case study, anchor bolts needed to be drilled into the bridge deck beams and cantilever beams for new cross girders and new column supports. Blind drilling may have damaged the reinforcement and compromised the bridge’s structural integrity. Hitting reinforcement would also have slowed project progress and led to increased costs. 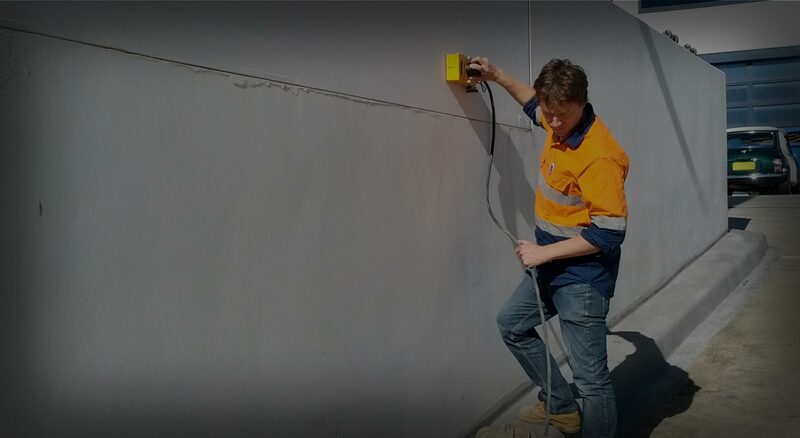 Concrete Scanning Services was commissioned to carry out a non-destructive investigation of all concrete beams and proposed drill locations in order to detect and mark all steel reinforcement, mark all post-tension cable locations and determine the amount of concrete cover. 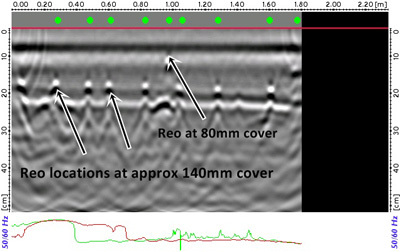 The Ground Penetrating Radar (GPR) scans were completed with the 1.6GHz antenna which provides a good balance between resolution and depth penetration. The 1.6GHz antenna would typically penetrate to a depth of 400mm in concrete and is best for detecting features such as layers of reinforcement and post-tension cables. The beams were scanned with parallel line spacing perpendicular with scan lines at 100mm centres to provide good detail. The non-destructive investigation determined the reinforcing steel (reo) positions and amount of cover for each proposed drill location. The data was collected and the reo locations marked in situ, accompanying a detailed report and location photograph. 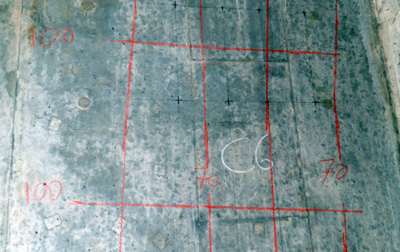 Based on the markings, the client could determine suitable drill locations. The anchor bolts were drilled into the beams without any damage to the reinforcement and saved the client both time and money.